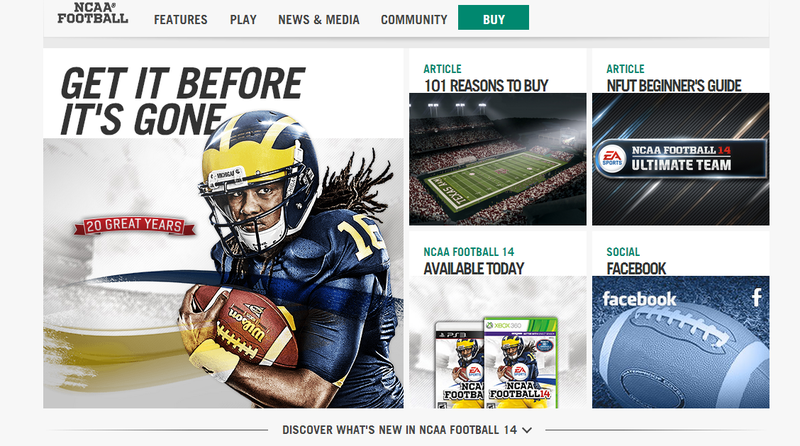 As we pass the five-year mark of no NCAA Football, SB Nation's Richard Johnson takes a look at how no college football video game ultimately hurts the Madden NFL franchise, at least in one regard - namely, the option. Throughout the years where EA Tiburon developed both NCAA Football and Madden NFL, gameplay aspects and features could be shared helping to make each game better. With the option being a part of the NCAA Football franchise dating back to its predecessor Bill Walsh College Football, the code and legwork has existed for EA to share and incorporate it into Madden NFL. However, now that NCAA Football is on ice, the investment that would have been necessarily made for the plethora of teams that run some form of option football - traditional, RPO, spread, etc. - such as Georgia Tech, Navy, and Nebraska would have been added to Madden. Whereas now devoting the time for Madden to do solely for what amounts to situational (or gimmick) playcalls have proven not to be worth the monetary or time investment. Johnson's article states that the Ravens with rookie QB Lamar Jackson will have zone-read plays in their playbook in Madden NFL 19. Four years after reporting exiting the EA SPORTS College Football franchise following the aftermath of the player likeness lawsuit settlement, the Ohio State University has been sued by former Buckeye two-time All-American Chris Spielman and other former players over the use of their player likenesses. 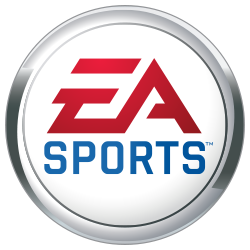 In 2013, Ohio State reportedly followed the lead of conferences such as the SEC, Pac-12, and Big Ten by withdrawing usage of their trademarks for what may have been known as EA SPORTS College Football 15 as they sought to minimize risks in potential future lawsuits over player likenesses. However, at least in the case of Ohio State, it appears they only made the move to save face at the time and did not have the interests of student-athletes at heart as they would engage in their own form of alleged player likeness infringement and face a lawsuit. In an interview with SI Now's Maggie Gray, Big East Commmissioner Val Ackerman stated that she believes the NCAA is currently reconsidering their stance on not allowing student athletes to sign endorsement deals. Courtesy SI.com: Under the current rules, student athletes may not be paid for the use of their image or likeness or they would forfeit their amateur status and their collegiate eligibility could be affected. When Gray asked Ackerman why students shouldn’t be able to capitalize on the value they bring to their university, Ackerman responded that the NCAA is considering changing that rule. According to lawyers for the plaintiffs in the player likeness lawsuit versus the NCAA, Electronic Arts, and the CLC, settlement payments as part of the $60M settlement are beginning to go out this week. Pre-tax amounts ranging from less than $100 to nearly $9,300 will go to eligible players per terms of the settlement with the NCAA granting eligibility waivers to any current player receiving money. In all, 24,900 checks will be issued with the average payment around $1,750. Among the current collegiate players set to receive payment are Maryland DB Jarrett Ross, Central Florida QB Nick Patti and Oklahoma State WR Marcell Ateman. Some of the NFL players receiving checks will be Kirk Cousins, A.J. Green, and Clay Matthews. One of the in-game commentators in the NCAA Football franchise has now become one of the first - if not the loudest - voices in trying to get the franchise to return. 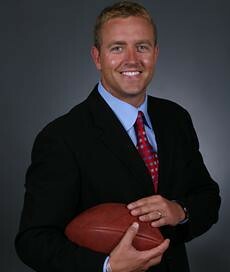 If Herbstreit is serious about helping to see NCAA Football return - which we believe he is - he should use his connections and weekly in-season meetings with Athletic Directors and athletic departments to push for schools/conferences to actually use their highly clamored for autonomy and establish player likeness rights for student-athletes. Since acquiring the rights to make some of their own rules, the Power Five conferences (ACC, Big 12, Big Ten, Pac-12, and SEC) and the NCAA have continued to punt on finally addressing this long-term issue. Until that issue (and likely all litigation) is settled, there is no little to no hope for the franchise returning. In their first Facebook post since July 29, 2014 the EA SPORTS NCAA Football Facebook page has posted a very cryptic video of a heartbeat on an EKG machine. Could this be a tease of the franchise returning? Was the page hacked? Or on the threshold of the National Championship Game, is this a reminder of the franchise and the many fans who want it to return? We will update this story if any additional news or information is acquired. During E3 2015, Microsoft announced backwards compatibility would be coming to the Xbox One in a gradual process with more titles being added over time. To help gauge interest on which titles should receive priority, Microsoft has established a nomination/voting system. 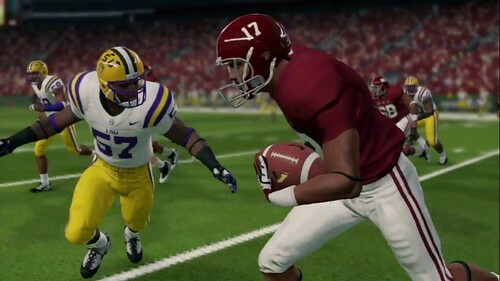 Many NCAA Football fans have indicated a desire to play the title on a next-gen console. This is the opportunity to do so. It is currently unknown if the franchise could be added due to its status in limbo due to lawsuits, but this opportunity should be taken to show EA, the NCAA, CLC, and universities that there is a strong demand for the product to return in some fashion. White Knuckle IP, LLC has sued Electronic Arts claiming that the company infringed on their 2002 patent that described a methodology where sports games would be updated based on real-life events during a season. The accused products include NCAA Football 10-14 and Tiger Woods PGA TOUR 10-14. In the complaint, White Knuckle did not indicate any specific offending feature(s). 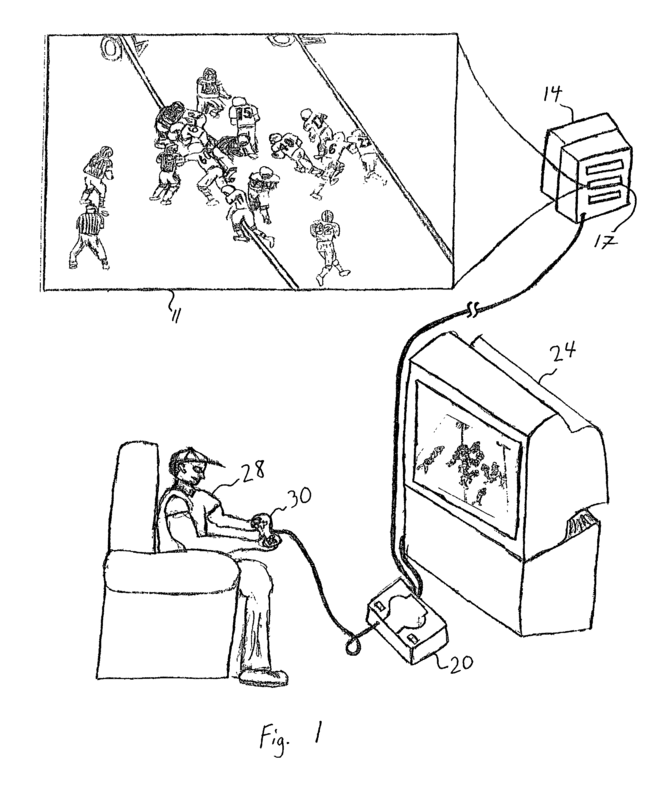 The original patent by White Knuckle IP, LLC in 2002 reflected a time when console games could not be updated easily, however patches/updates existed for PC gaming before 2002. 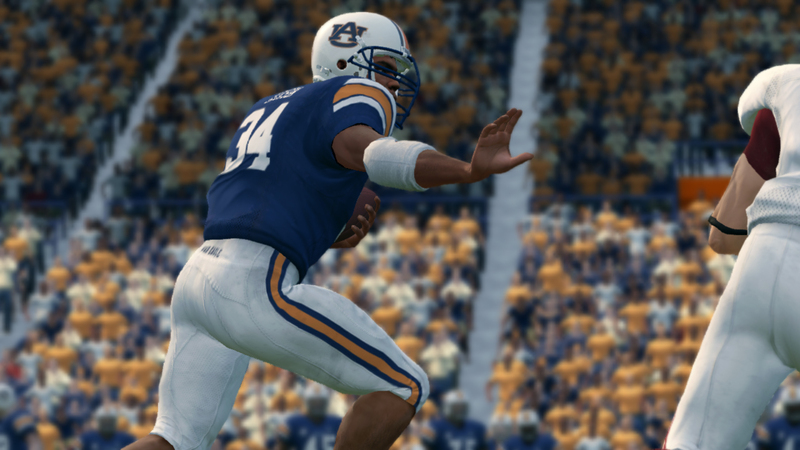 While NCAA Football included updated uniforms and field art, it is unknown what mid-season updates the Tiger Woods PGA TOUR franchise included. It seems that White Knuckle may be targeting these franchises as they would appear in some regards to be defunct - NCAA Football on hiatus at best (discontinued at worst) with Tiger Woods PGA TOUR skipping a 2014 calendar release to rebrand itself in 2015 as simply EA SPORTS PGA TOUR. The latest NCAA Football 14 Uniform Store update features new uniform parts for Hawai'i (Rainbow Warrior uniform), Texas A&M (Razorwire helmet and Dark Onyx uniform), and Texas Tech (Never Quit uniform). 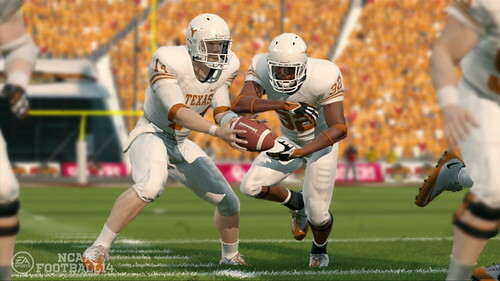 Two new uniform packs are now live in the NCAA Football 14 Uniform Store. 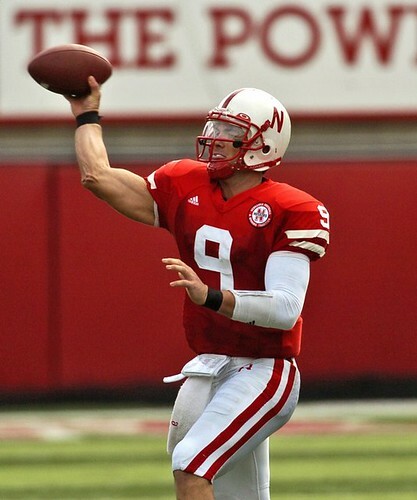 The packs include numerous helmet, jersey, and pants options for schools such as Nebraska's "Unrivaled" uniform, UCLA's "LA Midnight" uniforms, Notre Dame's "Shamrock Series" uniform, and Maryland's "Red Pride" uniform. 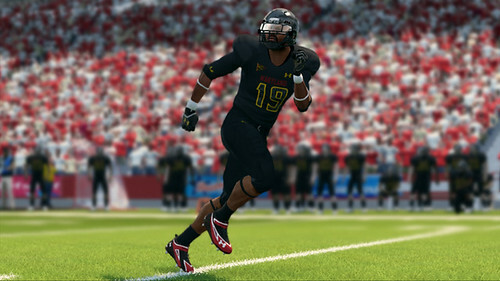 Two new uniform packs are now live in the NCAA Football 14 Uniform Store. 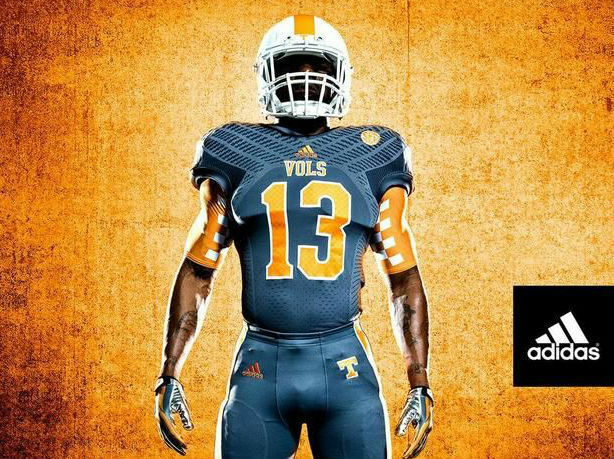 The packs include numerous helmet, jersey, and pants options for schools such as Tennessee's gray uniform, Western Kentucky's chrome helmet, and Texas A&M's black uniform. Following the cancellation of a college sports title from EA SPORTS for 2014 - and likely indefinitely - there has been no shortage of news, albeit expected or bizarre. Here is a quick rundown of what has transpired since then. This afternoon, Cam Weber (GM of American Football at EA SPORTS) announced that the company will not publish a college football title in 2014 and that the future of the franchise is in doubt. Weber stated that the company being caught in the dispute between the NCAA and student-athletes along with the NCAA & several conferences withdrawing support led to the decision. He also added that EA SPORTS is working to settle lawsuits with the student-athletes. Later in the day it was announced that EA SPORTS had settled a series of class-action lawsuits. It is believed that the settlement will affect between 200,000 and 300,000 current and former college players. Terms of the settlement are confidential pending a court filing. From CBS Sports: The settlement affects lawsuits brought by former Rutgers quarterback Ryan Hart, former Nebraska and Arizona State quarterback Sam Keller and former UCLA basketball star O'Bannon. 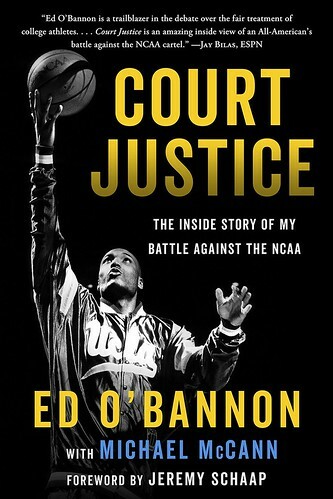 The settlement does not include the NCAA's ongoing battle with O'Bannon and other plaintiffs in the fight over the rights to player likenesses. 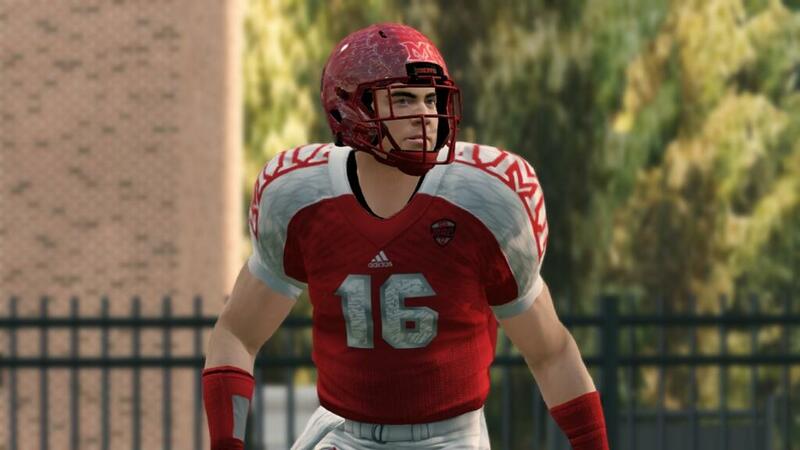 The fourth NCAA Football 14 Uniform Store pack is available today. To purchase the pack, fire up the game and head into Team Management and then click on Uniform Store. The pack costs $1 on X-Box Live and $0.99 on PlayStation Network. 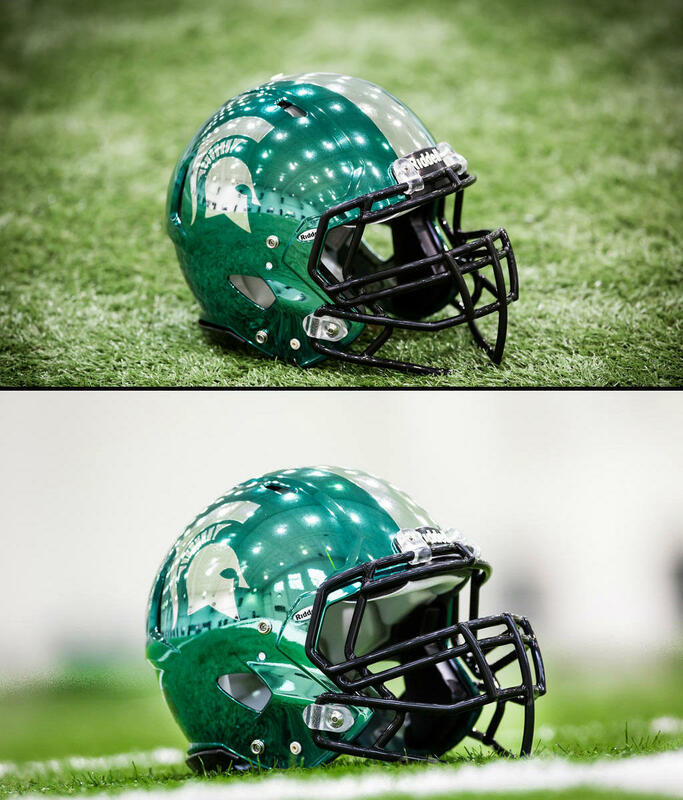 Team items in the pack include: Michigan State's HydroChrome helmet, green camo base layer, and Spartan head logo gloves; UCLA's LA Night, light blue (home), and dark blue (away) gloves, USC's Trojan head logo gloves; Notre Dame's Strategy (navy blue), interlocking ND logo, and Fighting Irish (bowl) gloves, Michigan's Blue "M" logo and yellow "M" logo gloves, and Nebraska's red "N" logo, Strategy black "N" logo, and black gloves. 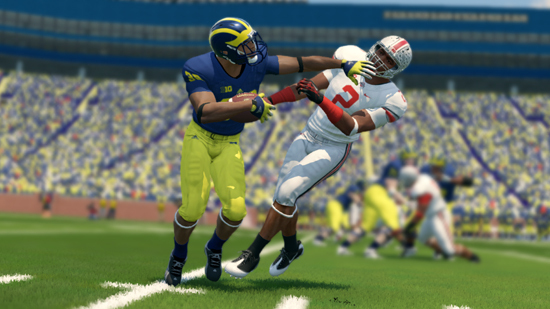 The third NCAA Football 14 Uniform Store pack is available today. To purchase the pack, fire up the game and head into Team Management and then click on Uniform Store. The pack costs $1 on X-Box Live and $0.99 on PlayStation Network. Team items in the pack include: Virginia Tech's 'Hokie Tracks' and 'Fighting Gobblers' helmets, Virginia's Orange helmet, North Carolina's Chrome Tar Heel Helmet, Cincinnati's red bowl helmet and Bearcat eyes gloves, NC State's 'Wolfie State' gloves, Florida State's 'FSU' and Seminole logo gloves, and Louisville's Cardinal logo gloves. 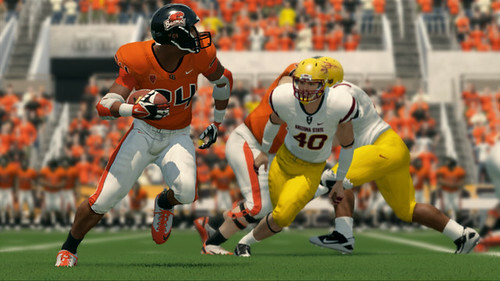 The second NCAA Football 14 Uniform Store pack is available today. To purchase the pack, fire up the game and head into Team Management and then click on Uniform Store. The pack costs $1 on X-Box Live and $0.99 on PlayStation Network. 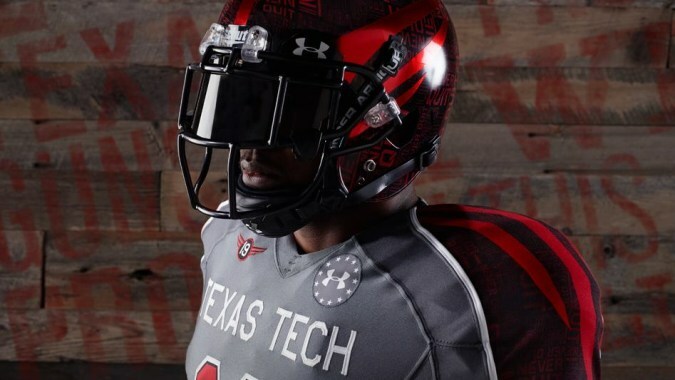 Team items in the pack include: new 2013 uniforms for Miami (OH), new helmets for Louisiana Tech (2013 & USA alternate), two sets of gloves for LSU, orange and black Pistol Pete helmets for Oklahoma State, and gloves for South Carolina and Texas Tech.